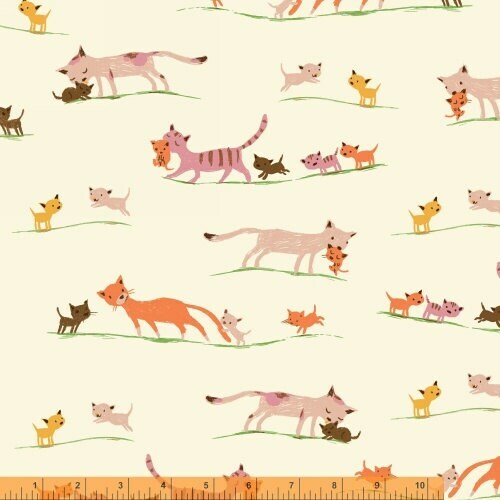 Marching Cats in Cream from the Tiger Lily Collection by Heather Ross for Windham Fabrics. This is a cotton LAWN fabric. It is extra wide at 53-54 inches in width. It is very thin and sheer and is ideally suited for apparel making. This listing is for a fat quarter of the Marching Cats in Cream. If you order more than one fat quarter, continuous yardage will be cut. (If you order 2, a half-metre will be cut). If you order quantity of 3, it will be cut as .75 metre.